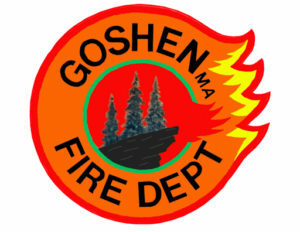 ASHFIELD, MA – Goshen firefighters were called mutual aid to the town of Ashfield at 0938 hours Wednesday morning to set up a landing zone. Initial reports were that a utility worker was seriously injured when he fell from a utility pole he was working on. 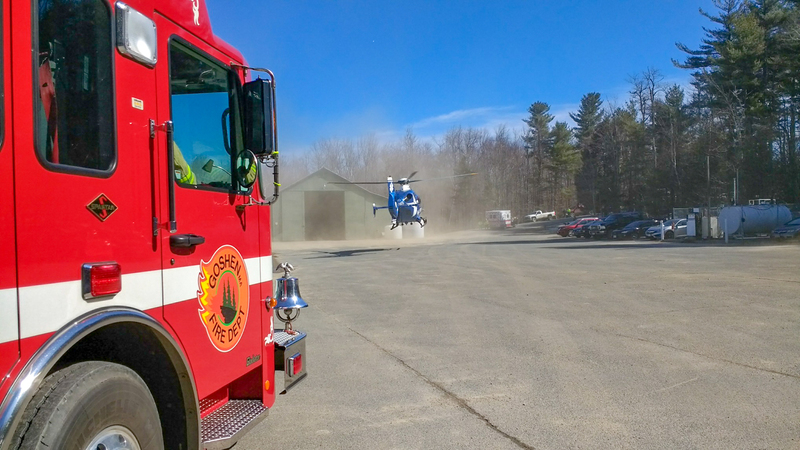 A Life Star helicopter was dispatched from the Westfield-Barnes Regional Airport and was on the ground at the Ashfield Highway Department parking lot before a crew from Highland Ambulance arrived with the patient. Once loaded, the helicopter lifted off the ground at 1038 hours and transported the patient to Baystate Medical Center in Springfield. Life Star helicopter moments after taking off. Highland Ambulance and Ashfield Fire department members can be seen in the background.